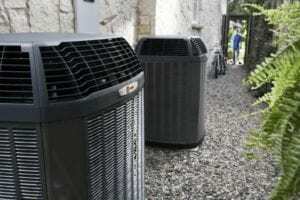 Having a dependable HVAC repair and installation company in Bartonville to turn to when you need heating and cooling service is highly important. This helps ensure that you get the service you need when you need it, rather than having to wait days or weeks. Cote’s Mechanical can provide you with peace of mind by guaranteeing that you’ll always get high-quality service in a timely manner. Cote’s Mechanical also offers other advantages for residential and commercial customers in Bartonville, such as free service calls with repairs and competitive rates for our HVAC services. Whether your home needs a brand new central air conditioning system or your business has a furnace that needs repairs, you can depend on Cote’s Mechanical for prompt service. With our assistance, you’ll have reliable cooling and heating services throughout the year. Air conditioning systems and heating systems typically last for several years, but they can become less efficient over time. 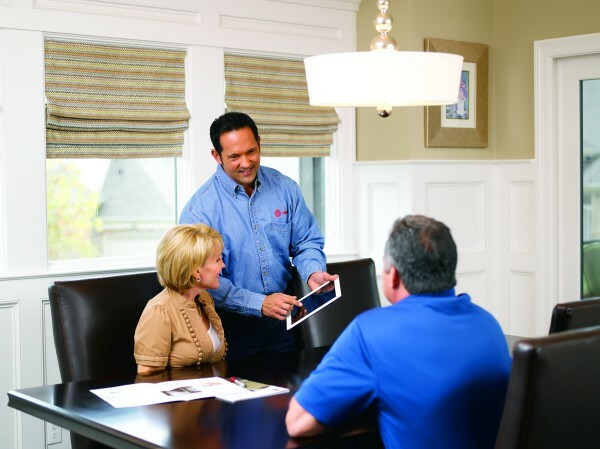 When you need to make the switch to a newer and more energy-efficient HVAC system, we’re here to help you. If you have a heating or cooling system that isn’t working as it should, you can also count on us to make timely repairs. At Cote’s Mechanical, we provide air conditioning and heating unit installation and repair in Bartonville for homeowners and business owners. Our company offers other services in addition to installations and repairs. You can have your HVAC system routinely maintained by us so that it remains in excellent condition year after year. Our services also include replacement, insulation, and attic ventilation to help your home or business feel comfortable all year round. Any time you need heating or cooling services, you can depend on our licensed technicians to provide them. At Cote’s Mechanical, we are committed to going above and beyond when it comes to the service we provide. Co-owners Cote and Kristi Wyatt and our team of skilled technicians understand that it’s important that customers receive timely service from a company they can trust. That’s what we have been providing for residential and commercial customers in Bartonville since 2001. Over the years, our customers have praised the service they have received. Online reviews mention the professionalism, honesty, and reliability of our technicians, especially when they’re called on to provide urgent or emergency repairs. We have also gained the attention of national organizations, such as Angie’s List and the Air Conditioning Contractors of America (ACCA). Our company has been honored with a Super Service Award from Angie’s List and accreditation from the ACCA. We have also received an A+ rating from the Better Business Bureau and certification from HVAC manufacturing company Trane as a Trane Comfort Specialist. For residents who make their home in Bartonville, the average household income is $133,472, which is significantly higher than the national and state average household income of around $55,000. These higher average incomes in Bartonville helps cover the average price of housing, which is $580,500 – quite a bit higher than the national average. Bartonville has a population of around 1,659. Those who live here are close to Denton, which is just 20 minutes away via FM 1830. Dallas is about a 40-minute drive away on I-35E S or TX-114 E. Fort Worth is about a 40-minute drive away on I-35W S.
The Town of Bartonville is a quiet place that has farms to visit and cozy places to eat. You can visit Quail Run Farm, Hidden Lake Farm, and South Haven Farm for horse shows and other events throughout the year. For a great breakfast or lunch and a hot cup of coffee in a welcoming environment, head to Golden Egg Cafe. Enjoy a burger or BBQ sandwich at Marty B’s Place, or enjoy some pizza at Palermo’s Italian Cafe. Bartonville residents looking for ways to help out in the local community can volunteer to serve on Boards and Commissions. Some of these include the Board of Adjustment, Community Development Corporation, Planning and Zoning Commission, and the Crime Control and Prevention District. If you need prompt repairs for your HVAC system, don’t hesitate to contact Cote’s Mechanical in Bartonville. Our professionals can also install a new heating or cooling system in your home or business and provide routine maintenance to make sure that it stays in optimal working condition. Cleaned off condenser coil that was covered in lint. Replacing evaporator coil, sealed unite no air loss. P&t drains insulated the drains. Added amount required of refrigerant to cool.